2. a) For what reason are the privacy groups asking Amazon to stop marketing the technology to police? Be specific. b) Why are they concerned about Amazon’s entry into the facial recognition tech market? 3. How does the Washington County Sheriff’s Office in Oregon use Rekognition? Be specific. 4. a) How did Deputy Jeff Talbot try to reassure residents about the department’s use of the Amazon technology? b) Deputy Talbot and the sheriff’s department appear to have good intentions. Why might his assurances not dispel residents’ concerns? 5. a) How did Amazon respond to questions and concerns? b) For what purposes did Amazon say law enforcement agencies use Rekognition? c) What is your reaction to Amazon’s response and explanation? 6. Re-read para. 11-15 regarding the Orlando Police Department’s program using Amazon’s facial recognition technology. Do you think “improving public safety” is worth giving up all right to privacy / anonymity? Explain your answer. Other privacy advocates are also concerned for average citizens who are just going about their daily lives. Some are also concerned that Amazon is gaining more and more information about all of us. Amazon already knows all of your likes/dislikes (browsing/purchasing). a) If Amazon controls the software for police departments across the country, would that concern you? Why or why not? b) The ACLU is asking Amazon not to sell to police departments. Do you think they should also ask Amazon not to sell to news organizations, music or sporting venues or other non-law enforcement companies? Explain your answer. 8. 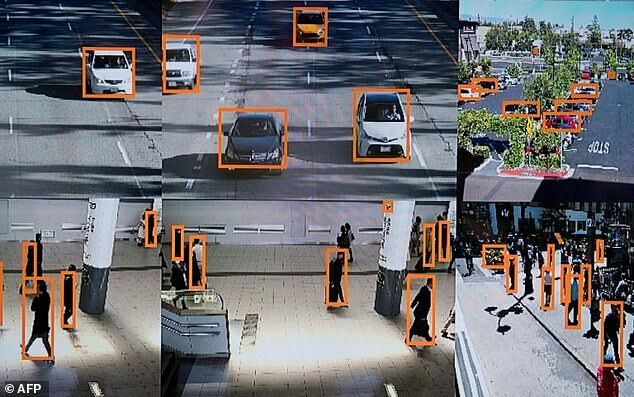 Why do you think the ACLU is only asking Amazon to not sell Rekognition to the police? Why aren’t they asking Amazon not to sell it to corporations? 9. Possibly more troubling than police, who have legal restrictions in using this technology, is the fact that individuals and corporations are using it. (Entities that have less regulation and oversight than the police.) What is your thought on the use of this technology by those other than the police?